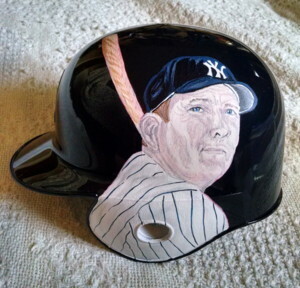 This Legends Mickey Mantle Mini Batting Helmet features my original painting of the New York Yankees Hall Of Fame slugger. 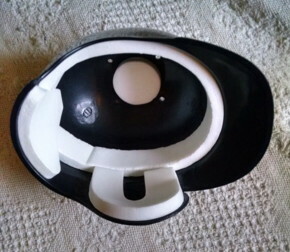 I start with a Riddell Mini Batting Helmet(Stand Included). These "mini" helmets measure 6.5 inches long, 4.5 inches high and 4.5 inches wide. 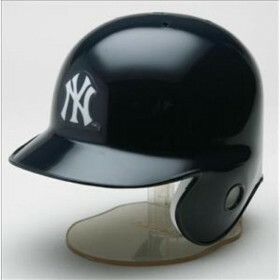 These "Mini" helmets look just like a real batting helmet. 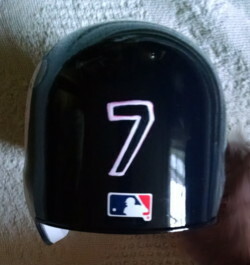 The back of the helmet has Mickey Mantle's famous number 7. 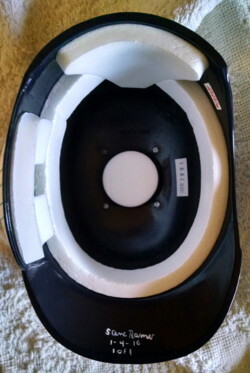 Inside the helmet you will see my signature and the date this Legends Mini Batting Helmet was completed. This is a one of a kind piece of art work. I will never paint another one exactly like this. Contact Me To Purchase This Mini Helmet or click on the Add To Cart button below to use your credit card and Pay Pal.